Dimension interfaces provide an easy way for uploading data into a dimension or downloading data from it once or repeatedly. The interfaces can use various file-based sources (e.g. CSV or XLSX files). You can initiate the upload/download from the Modeler. Additionally, you can execute the process once or retain as an Integrator job and schedule it as a repeating task. In the Jedox Web Modeler, right click on a dimension to display the context menu and select Upload File…The Dimension Upload Wizard is displayed. Click Next to upload the file in the Report Designer and get a preview of the file columns with the default settings, such as the data delimiter. You can change the settings and generate a new preview by clicking Refresh. Additionally, in the Range field, you can specify the cell range you want to read data from if you upload an xlsx file using an Excel-like syntax, such as Sales!A1:D30. Note: Make sure the file data generally matches one of the two hierarchy types: Full hierarchy or Parent-child hierarchy. For more information about the two types, see the table below. Click on the drop-down of each column to match them to the data structure of the dimension. Click Next. On this window, you can set up what happens to the elements without parents in the source and whether multiple parents with a single hierarchy are allowed. Parent-Child You must select which columns hold parents, children and weights. You can map other columns to attributes. The Dimension Upload Wizard recognizes certain column names and assigns them to the correct mapping. The column names :parent, :child and :weight are recognized. If a column name matches an existing attribute in the dimension, it will be mapped automatically. To map a column to a localized attribute, the naming syntax <attribute>@locale is recognized automatically, e.g. color@fr_FR. All mapped columns will show bold-italic formatting in the column header. You must define which columns represent which level in the targeted dimension hierarchy. The other columns can be mapped to attributes. You can also create an attribute on the fly. 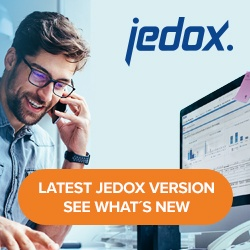 In the Jedox Web Modeler, right click on a dimension to display the context menu and select Download…The Dimension Download Wizard is displayed. Select the hierarchy format and the type of the file you’re downloading.